Bradford on Avon, Devizes, Marlborough, Melksham, Pewsey and Trowbridge. We currently provide 72 places for participants who come from the rural areas around these centres to take part in the weekly arts sessions. Although Arts Together is an arts charity there is no requirement for participants to “be arty” or to have any previous arts experience. 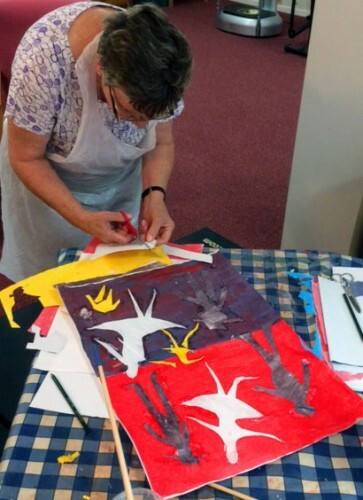 We employ specially trained professional artists and facilitators who are able to offer a broad range of creative activities that enables full participation by members. At Arts Together we do all that we can to ensure that everyone is supported to achieve their own personal successes. Our approach helps people overcome any doubts they may have about a disability or personal difficulty getting in the way of their involvement and enjoyment. 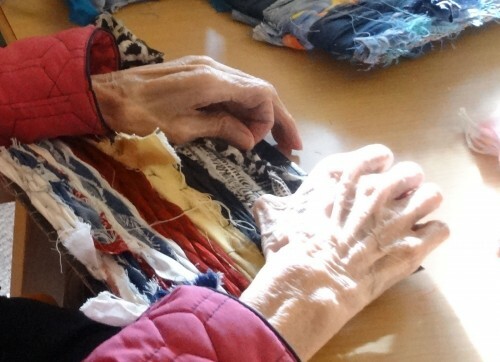 To enable this we have a team of experienced artists, committed volunteers and professional carers attending every session. The venues we use are warm, comfortable and easily accessible. We provide safe and personalised transport for all members that need it, plus refreshments on arrival and a cooked lunch after the art session. Take Part or find out more about the groups and how to join. To ensure a high quality service we provide ongoing support for artists, volunteers and trustees in the form of regular workshops and training. This enables our team to help members discover their potential, regardless of sensory loss, physical disability or failing mental capacity. All staff, volunteers and artists have enhanced DBS checks (Disclosure and Barring Service) and follow Wiltshire’s ‘Safeguarding Vulnerable Adults’ procedures as well as our Equalities and Health and Safety Policies and Procedures. Session volunteers are also certified in Food Handling.